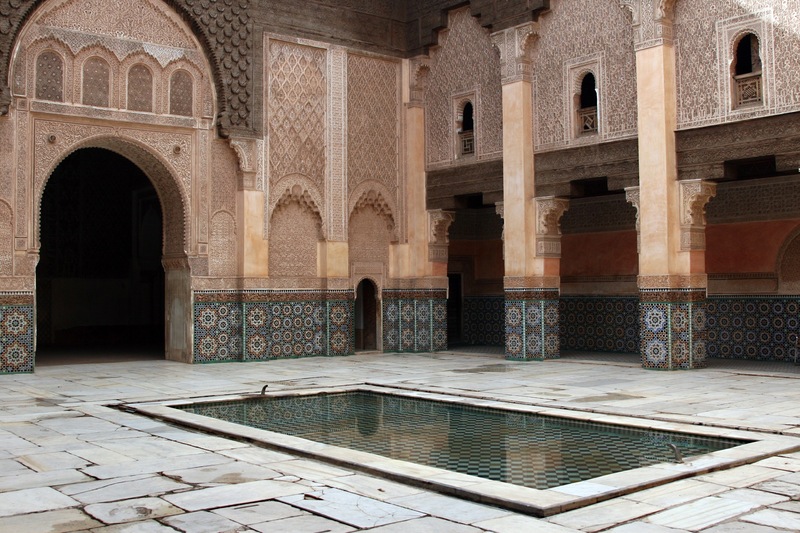 Does any country evoke a sense of mystery as resolutely as Morocco? 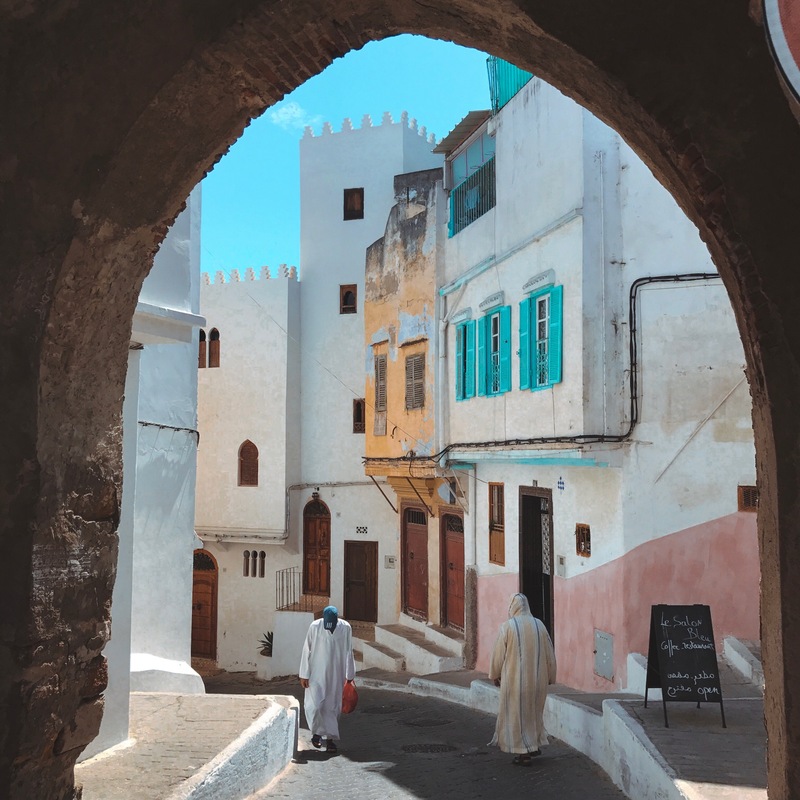 From the maze of souks in Marrakech to the windswept dunes of the Sahara and everything in between, this diverse North African kingdom rocks the casbah and will spice up your Instagram feed at the same time. For those who think some of the sights risk being cliché, well, perhaps you haven’t found the right filter. 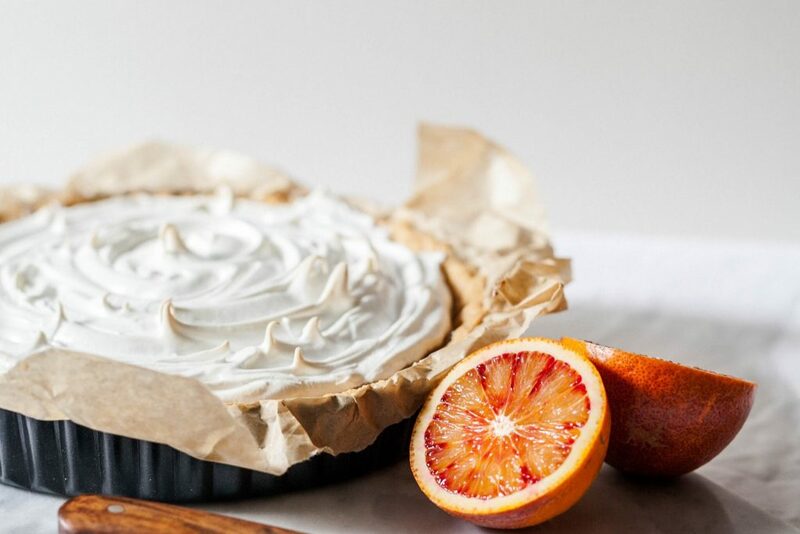 The most magical thing about this country — other than the fantastic, fragrant food — is its authenticity. 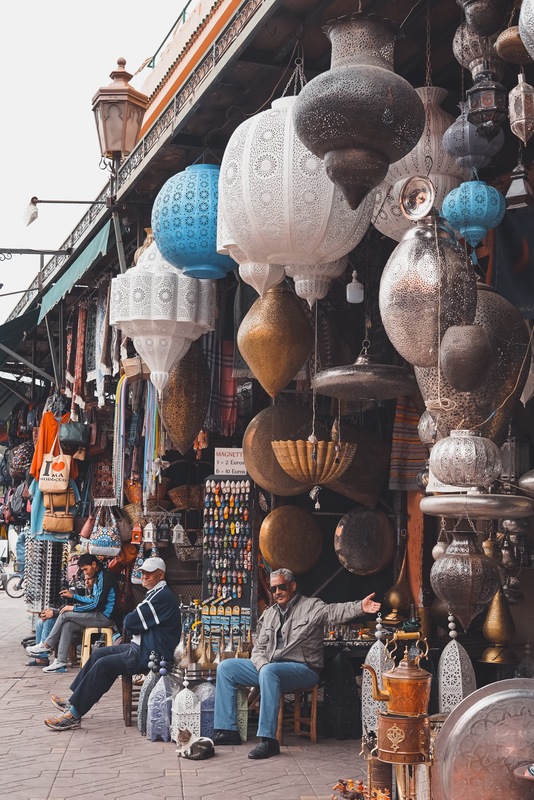 You find it everywhere: from master craftsmanship in the souks to exquisite hidden riads to the smile of the guy who’s serving you a sweet mint tea. So, linadhhab (let’s go! 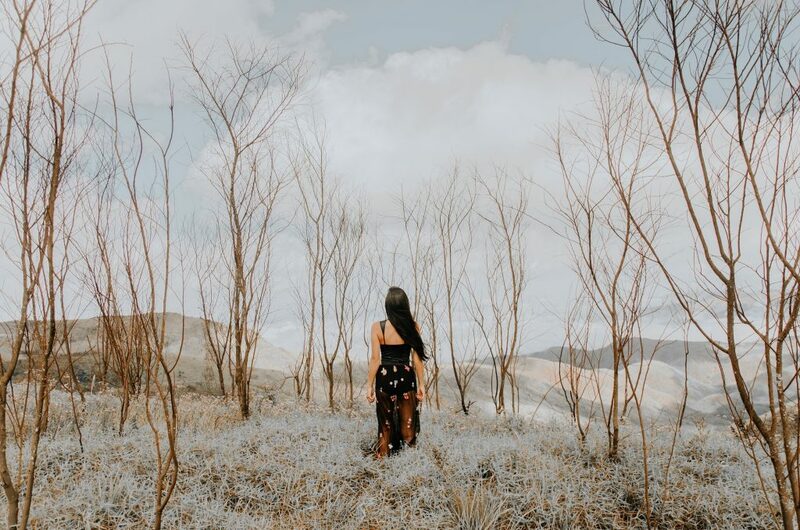 ); here are 12 ideas for Instagram gold. 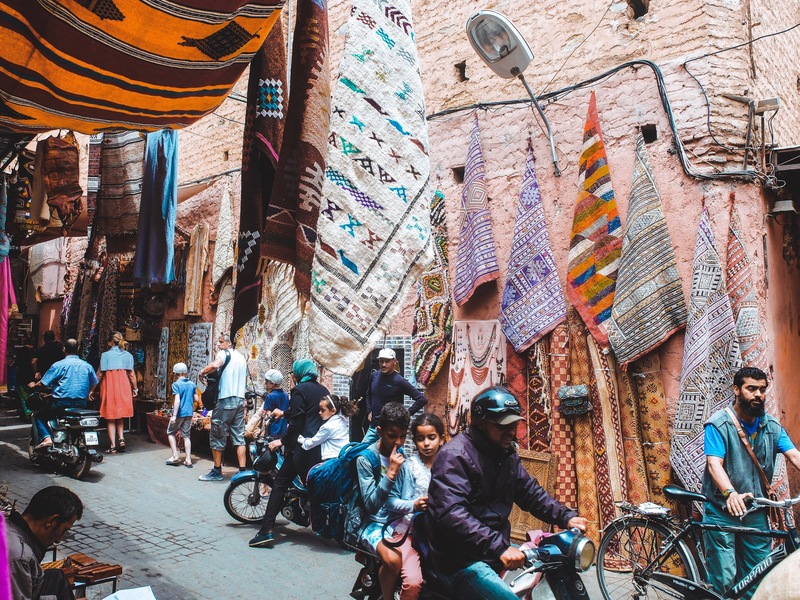 Up until 1912, the city of Fez was the capital of modern Morocco and is considered one of its four imperial cities (along with Rabat, Meknes and Marrakech). Its car-free Fez el Bali medina, a World Heritage Site, is a walled area with atmospheric souks and elaborate carved doorways, reminders of the architectural marvels of the Marinid dynasty which held sway here from the 13th to 15th centuries. The green-tiled roofs are soothing, but at street level, stroll and ‘gram those entryways to your heart’s content. In an early episode of Absolutely Fabulous, Edina asks Patsy why her daughter Saffy can’t go to Morocco on her own since they are separately “going to Marrakech.” Saffy points out to her space-cadet elders that Marrakech is in Morocco, but the point is taken: For many travelers, Marrakech is synonymous with Morocco. 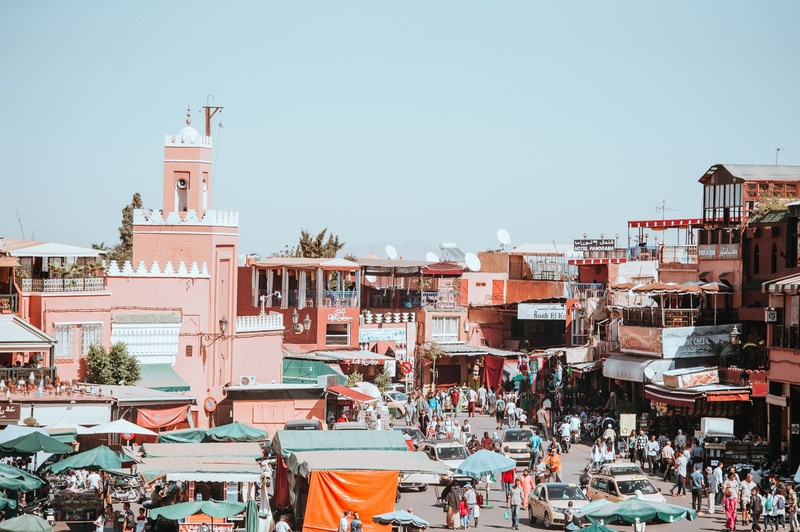 It’s both enigmatic and iconic, nowhere more so than in the vast Jemaa el-Fnaa market square located inside the walled medina. 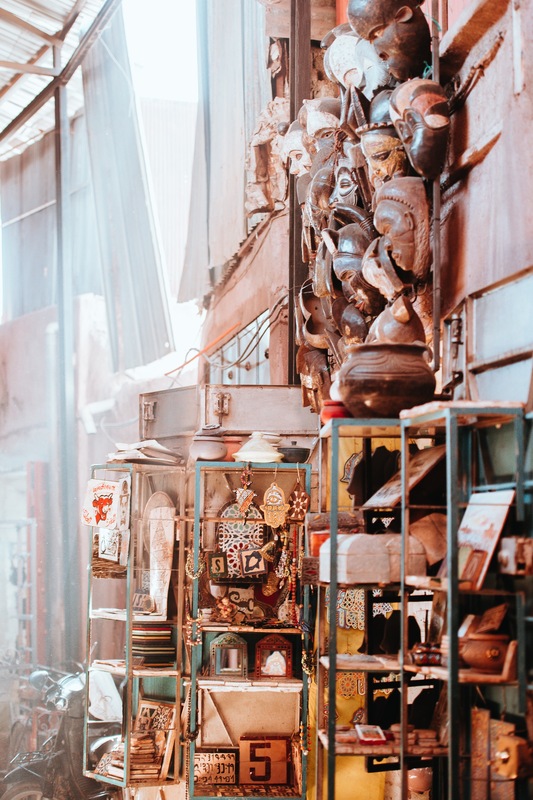 This is where you’ll find everything from acrobats to astrologers to fire-eaters and bellydancers, but most famously a wealth of shopping opportunities. 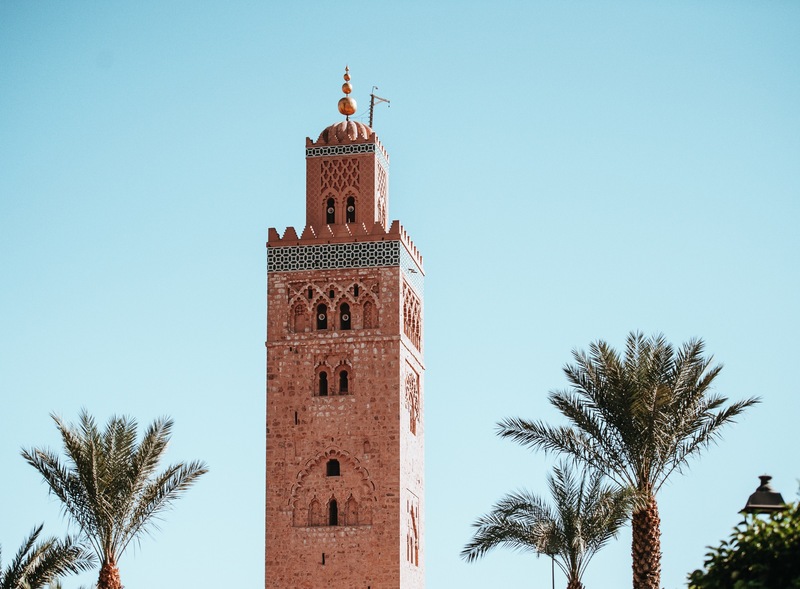 The minaret of this landmark mosque, completed in 1199 by the Berber ruler Almohad Caliph Yaqub al-Mansur, has been featured on many an iconic vintage travel poster. It rises 253 feet above the southwest section of the city’s walled medina. The elegant structure features decorative arches, pointed merlons and lovely ceramic inlays, which influenced the design of the Giralda belltower of the Seville Cathedral. 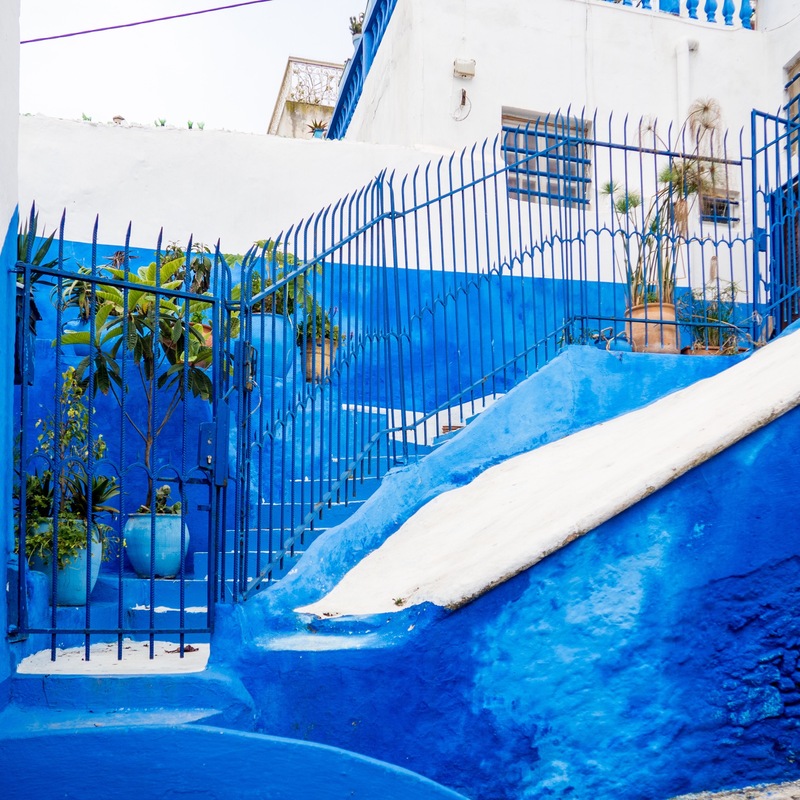 If you like blue, this town in northwestern Morocco, set inland from Tangier in the Rif Mountains, is the place for you and your Instagram account. From its houses, walls and alleyways to pretty much every manmade structure in between, it’s all blue, all the time. 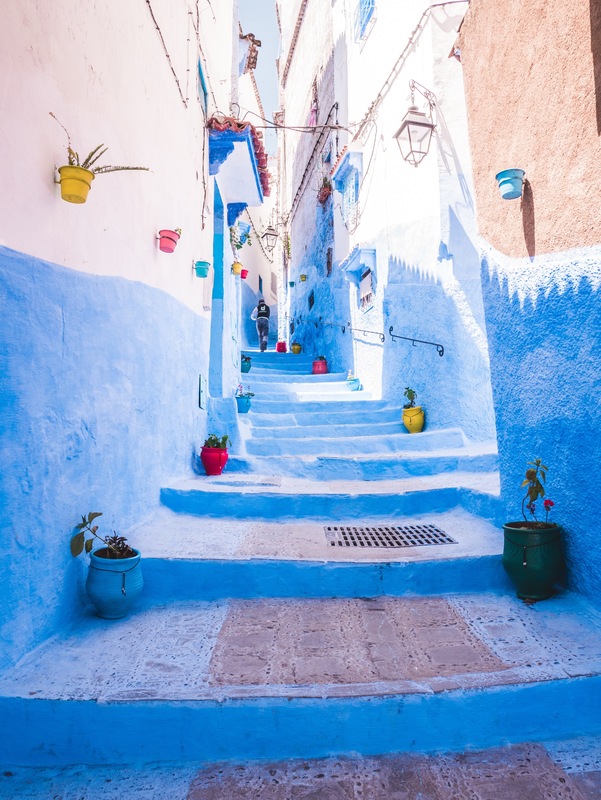 Savor the panorama of the medina’s bright blue hues from the top of the casbah tower, or stick to ground level and the winding lanes where you’re likely to find a cat or two on an innocent quest for some love on the ‘gram. With its vast Atlantic and Mediterranean littorals and arid but oasis-studded interior, Morocco never fails to stun. 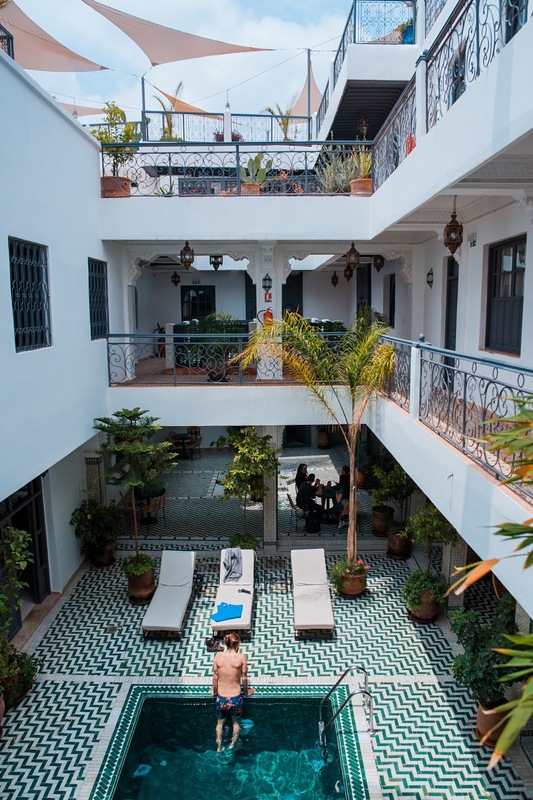 In terms of urban oases, it’s all about the riads: traditional Moroccan townhouses or palaces with interior courtyards. This is where tranquility to the tune of elaborate tiling, lush gardens and fountains await. Chances are if you stay in a boutique-style hotel in Marrakech or Fez you’ll be able to luxuriate in a real riad — which you may want to keep to yourself (but not before you ‘gram it). 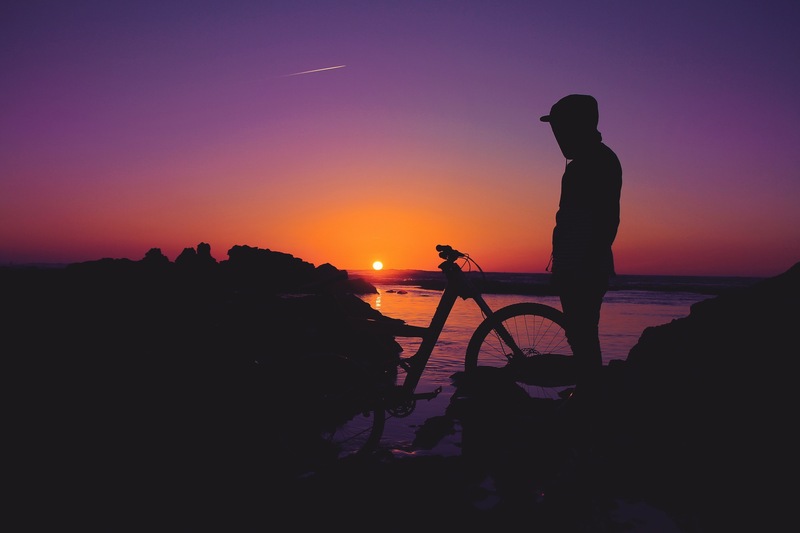 Situated on Morocco’s Atlantic coast south of Casablanca, El Jadida was designated as a UNESCO World Heritage Site on account of the huge stone ramparts built by the Portuguese in the 16th century. These thick walls frame the star-shaped Fortress of Mazagan (the Portuguese name for El Jadida). While jumping off the 26-foot-high walls into the water below (on the seaside flank) may be inadvisable, it can be fun to observe some of the more adventurous locals doing just that. Another cinematic site is the old Portuguese cistern: its eerie rows of underground stone pillars made an appearance in Orson Welles’ film version of Othello and are sure add a shot of haunting beauty to your feed. 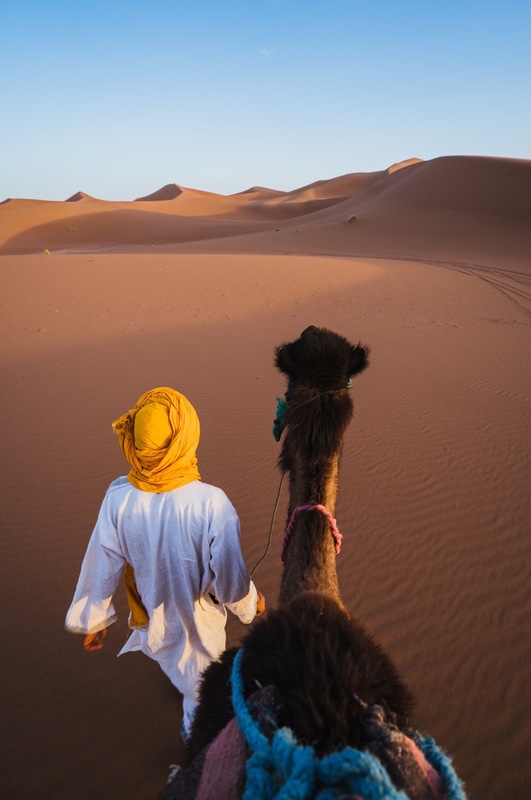 Located far inland near the Algerian border, Merzouga is a main point of entry to the swath of Sahara sand dunes known as Erg Chebbi. The lofty, wind-swept dunes here and at close-by Hassi Labied form the backdrop and other desert adventures. As such it’s the gateway to many highly Instagrammable moments: but no complaints about the dust, please! 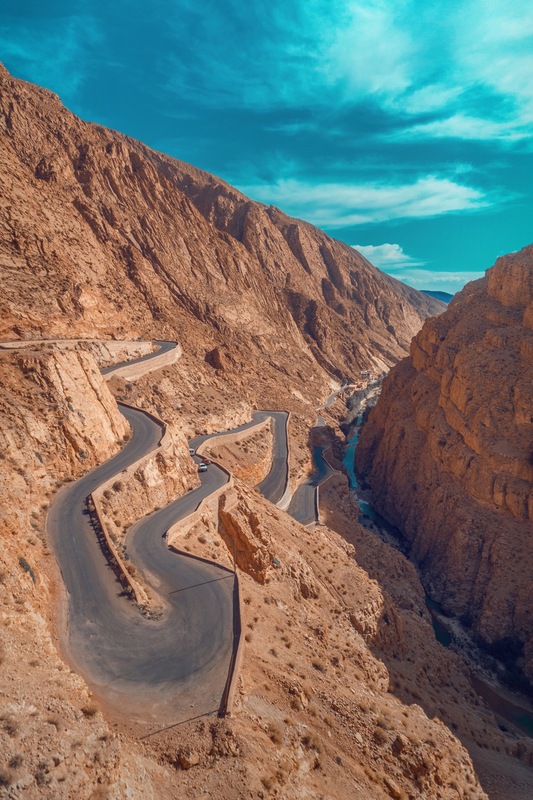 East of Marrakech and south of the Atlas Mountains, Ouarzazate is home to the impressive Taourirt Kasbah and both the town and epic desert landscape to the south have long been favored as film locations. 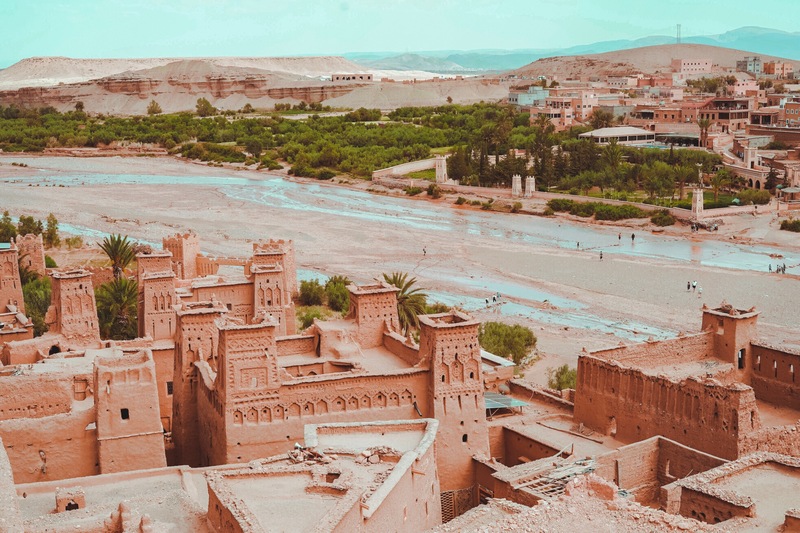 Scenes of everything from Lawrence of Arabia to Game of Thrones have been filmed in and around Ouarzazate, whose name comes from a Berber phrase meaning “no noise.” No worry though: The town’s mighty walls and ochre tones will slay the ‘gram in silence. 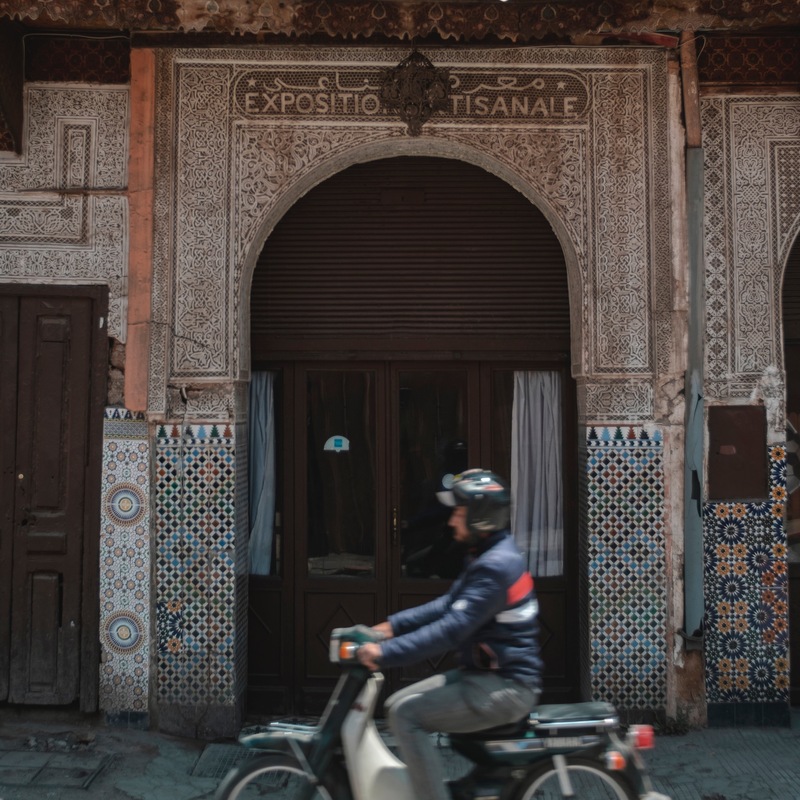 While it may be lacking in iconic sights and doesn’t have the same mystique as Morocco’s imperial cities, Tangier (or Tangiers) is exotic all the same. 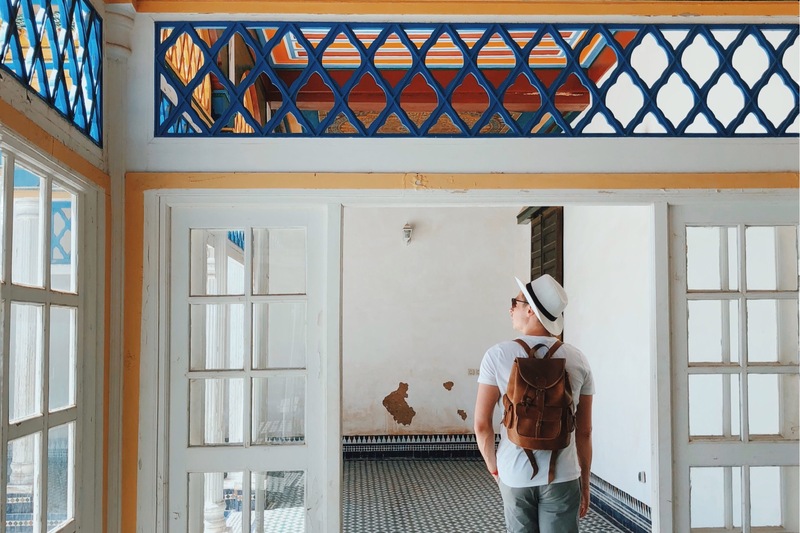 From Berber origins to Phoenician trading post to Roman city to the present day, it’s a historic melting pot of cultures, and with its location at the entrance to the Strait of Gibraltar makes for great Insta opps in any season. 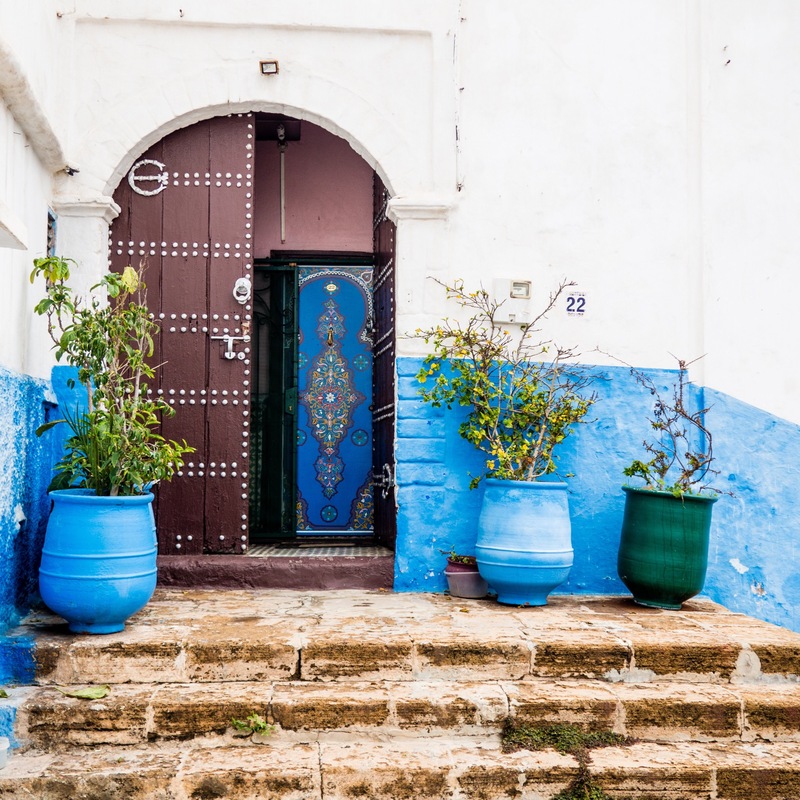 Breezy and easygoing, Asilah is situated less than 20 miles south of Tangier on Morocco’s Atlantic coast. A town with Phoenician roots, its centuries-old seaside ramparts were built by the Portuguese and there is Spanish heritage as well. The twisting lanes and mainly white buildings of the medina, many with ornate mashrabiya projecting windows, will you have you thinking of Mykonos with a très cool North African twist. This ksar (fortified village) along a onetime caravan route near the southern slopes of the High Atlas mountains is a beautiful pre-Saharan habitat whose densely arranged dwellings, fashioned from clay brick, are always ready for their close-up. These earthen casbahs are protected by a ring of defensive walls and evocative corner towers. No wonder, then, that it’s another popular film location, with everything from Time Bandits to Babel to Gladiator having shot sequences here. We will go the extra mile to meet your travel needs. Our high level of service is recognized by thousands of clients. We're committed to providing you with the best experience at the cheapest price possible. You'll never run out of option among hundreds of packages available, from undemanding to the most unique itinerary. Tourvo Travels is dedicated to creating and facilitating travel experiences and offers hassle free tours to the most exciting destinations. We also provide complete assistance with student / internship visa applications. Let our professional travel agents guide you to a world-class yet budget friendly travel experience. Stay updated with our latest promotions and offers and share our passion for photography!